Documents pertaining to payments made by Mendis Distilleries owned by Arjun Aloysious to a set of MPs from government and opposition has been recovered and are being held by President Maithripala Sirisena,Deputy Minister Ranjan Ramanayake said yesterday. 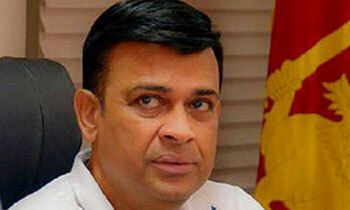 Mr Ramanayake told journalists that Aloysious had made payments to the MPs in cheques.
" There would be a huge controversy in the country if the names of these MPs are revealed" he said. YEAH......... THAT IS CALLED THE MENDIS SPECIAL. LOOKS LIKE RANJA IS EAGERLY EXPECTING THE MINISTER OF LAW POSITION. In the interest of Sri LankaDisclose all MP names who have received cheques anonymously via internet and guerrilla-mail email:https://www.guerrillamail.com/Send documentation to all news outlets and publish on Youtube. Why Secret?. Disclose the names? ( President ). Sir Please Use your Sword and Take Action against these MPS - Once you take action and Kick them out from the Parliament there will be New MPS waiting from the 2015 PA System. I got Mendis Special !!! Business people Created Politician!!! One hand moisturizers other, same way how politicians and business people coexistence!!!?? Tell us something we don't know.. Documents pertaining to payments made by Mendis Distilleries owned by Arjun Aloysious to a set of MPs from government and opposition has been recovered and are being held by President Maithripala Sirisena,Deputy Minister Ranjan Ramanayake said yesterday.Give All the documents to CID/Police! If Maithri knows the MP's who received bribes, then he is also a crook to hold those names back. If you know those persons, then it is you bounden duty to the public to reveal them. Enough of this hidden talk. You have a duty to reveal those names to prevent the public, misleading in votes. That’s why you are in the parliament. Do that honourable thing you’ll earn the respect of the people. ALL are same. Don't know what will happen to this country after President MS.
it is not that easy. President should not interfere in Law and order or Judicial process. What the minister says is that the President is aware of such information is in hands of FCID. PM Mahendran to slip out of the country. He should be ousted through the parliament with a no confidence motion. As Ranjan says if President has the list, he must ASAP present it to Bribery Commission. If he retains it to threaten the recipients to take an advantage or benefit to him, President is committing a grave offence. This is how MS will stop his MPs from now on. If this is the case, privatize Govt. So it's okay for the President to hold the names in secret for blackmailing purposes I guess? Withholding any information relating to a criminal activity is illegal and punishable offence. Is this also same as the files that MR was holding sometimes ago. The files never came out! Why you didn't get it . please reveal all the names or inform the police who will protect your identity. Name and Shame, if you are a straight person. So there are so many people who can't be named, hasn't that been the story all this time. In fact every politician says the same thing. Why can't they just name them, isn't that the start to good governance? For the benefit of Sri Lanka:Make All the Documents,Cheques and MP names public ASAP!In a Democracy Public Interest HAS to be informedabout WHO exactly, ESPECIALLY if MPs!! !, ran away secretly, cowardly, and greedily,with Public Funds, on a giant scale, to be used for much needed roads, hospitals and schools...Mr. President, and whoever knows these documents and MP IDs, be courageous, be honest, be Buddhist, do the right thing, and make all info public anonymously if needed. May you succeed fearlessly.NEVER GIVE UP ON THIS GOOD!